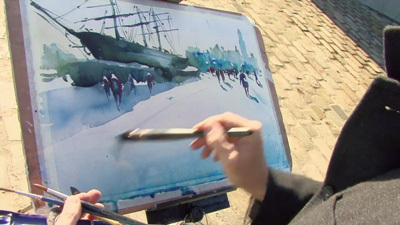 Filmed amongst the captivating scenery of the Exe estuary, Ray demonstrates his unique approach to painting, using watercolour and pastel combined. He takes us to some of his favourite haunts including Exmouth, the harbour at Lympstone and the picturesque Otter estuary at Budleigh Salterton. He also shows us how quick impressions in charcoal can play a vital role in exploring composition, tonal relationship and mood. 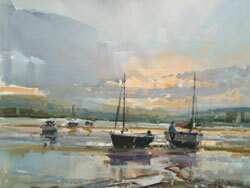 Ray Balkwill, a well-known and popular West Country artist, is equally at home in watercolours, pastels and oils. 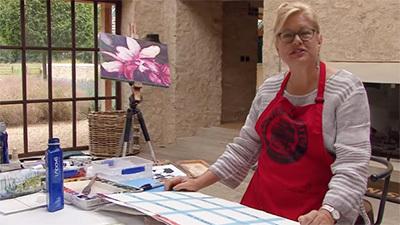 He has many successful one-man shows to his credit and has exhibited with the Royal Institute of Painters in Watercolours and the Royal West of England Academy. 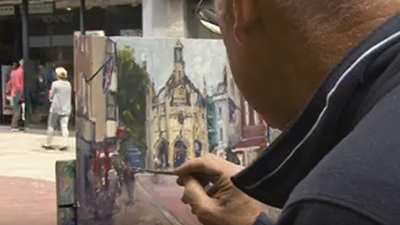 In his video, Capturing Estuary Moods he uses watercolour, gouache, marker pen, Conte and pastel to good effect to produce a number of paintings and studies of some of his favourite haunts in the Exe Estuary area. He uses Arches and Saunders Waterford 1401b Not watercolour papers, stretched and taped to a board mounted on a light metal easel. After deciding upon his composition and sketching in the main construction lines, he gets to work with full watercolour washes, boldly applied with a hake. 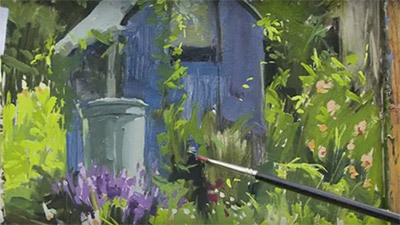 He uses masking fluid liberally to preserve important areas of light and to create foreground texture, and also uses white gouache in order to capture highlight details. He has a fairly limited palette and sometimes blends gouache with transparent watercolour to obtain a particular subtle shade. The occasional 'cauliflower' does not worry him, as he knows it can be covered by the subsequent addition of pastel. When everything is dry he removes the masking fluid, revealing surprisingly large. areas of white paper and begins to apply his pastels. These are methodically arranged with pale, medium and dark versions of a wide variety of colours. Sometimes he applies large areas of pastel, which he smoothes into the background washes to vary their colour, but much of his pastel work is bold and crisp. 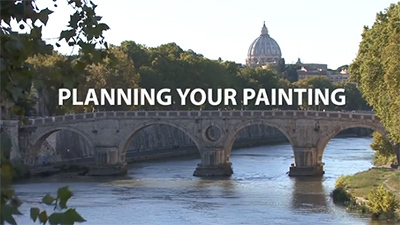 He uses plastic and putty rubbers to create highlights in some of his pastel passages. Although his work. IS wholly representational he has the ability to emphasise the tones and colours that really capture mood and atmosphere. 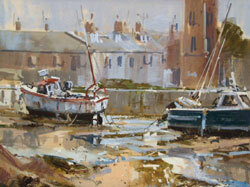 His first subject features three boats at low tide against a backdrop of wooded hills and his bold handling of the stretches of shallow water and wet mud is highly effective. He uses white cartridge paper for his second demonstration - a charcoal and Conte study of a coastal creek with foreground boats against a background of boat sheds. A nearby coastal village comes next, followed by a sunset study which he develops In the studio. His final painting features the River Otter near Budleigh Salterton. 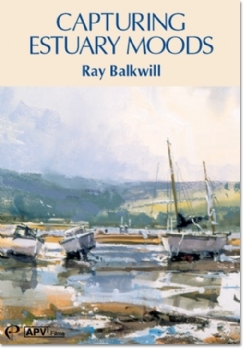 Capturing Estuary Moods is an excellent video in which the artist captures the atmosphere of his estuary subjects just as effectively as the soundtrack cries of the gulls and the wind in the rigging. Neither is Ray Balkwill the conventional watercolourist! 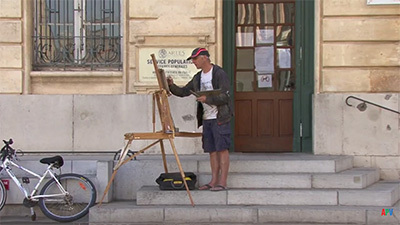 His highly original technique involves the use of pencil, water-based markers, body colour and pastel combined with loosely applied watercolour. Ray often paints on site and in Capturing Estuary Moods he chooses subjects at some of his favourite haunts, including the Exe Estuary, the harbour at Lympstone and the attractive River Otter at Budleigh Salterton. In both his charcoal drawings and his paintings, Ray demonstrates perfectly how to capture the mood and atmosphere of a scene - what he defines as 'the spirit of place'. He believes in sound drawing, which then gives him the confidence to work freely, often starting with a black marker pen to indicate the principal darks. Next, initial loose watercolour washes are applied to create foundation shapes and suggest mood, and subsequently he may turn to pastel to interpret particular qualities and effects, such as mist or low cloud that partially hides the distant landscape. The pastel is sometimes worked into the surface, sometimes lifted and manipulated with a hog brush. Then more washes and definition are added in watercolour, as required. But Ray never goes too far: he is not afraid to edit the complexities of nature and so produce a result that is both evocative and individual. This DVD is outstanding. 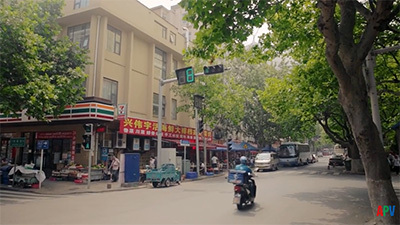 I have watched it many times and learn something new each time.